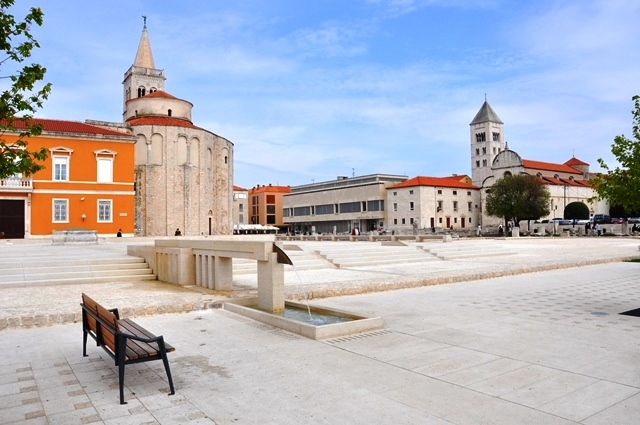 Zadar is the oldest continuously inhabited town in Croatia, located in the heart of the Adriatic. 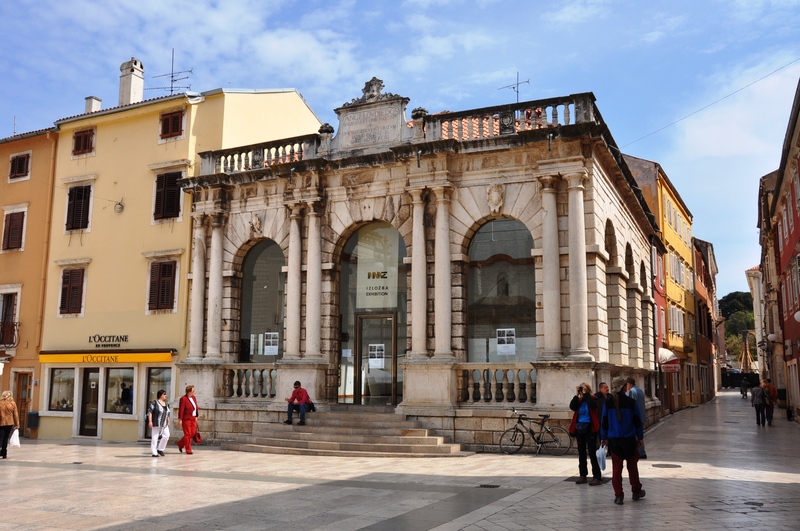 It is the urban center of northern Dalmatia as economic, administrative, political and cultural center of the region with 75.000 inhabitants. 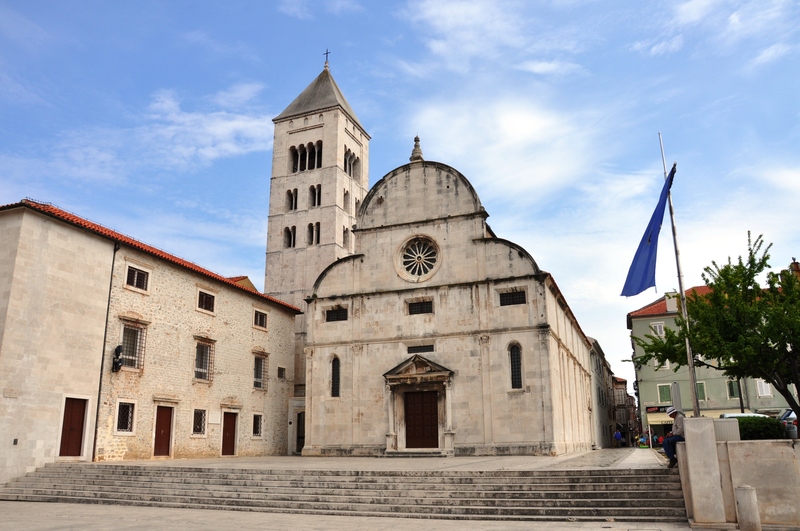 Zadar is a city of touristm as well as the seat of the Roman Catholic Archdiocese of Zadar. It is known as a city of exceptional history and rich cultural heritage. It is a city monument, surrounded by historical ramparts, a treasury of the monumental and archaeological riches of ancient and medieval times, Renaissance and many contemporary architectural achievements such as the first sea organs in the world. 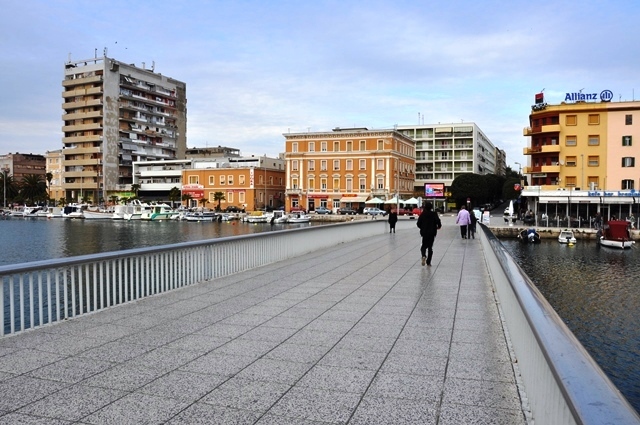 Zadar is a city where huge spaces are left for pedestrians. 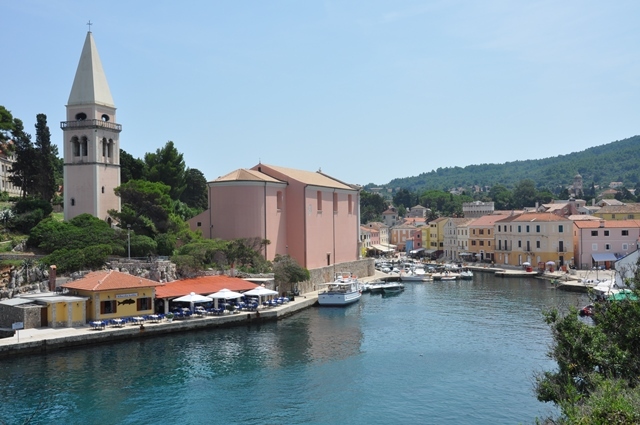 Croatia has many romantic towns, but the most beautiful are situated by the coast. They attract with secluded beaches, rich historical past, medieval appearance, amazing parks and many opportunities for romantic walks along the sea, candlelight dinner and discovering many hidden places. 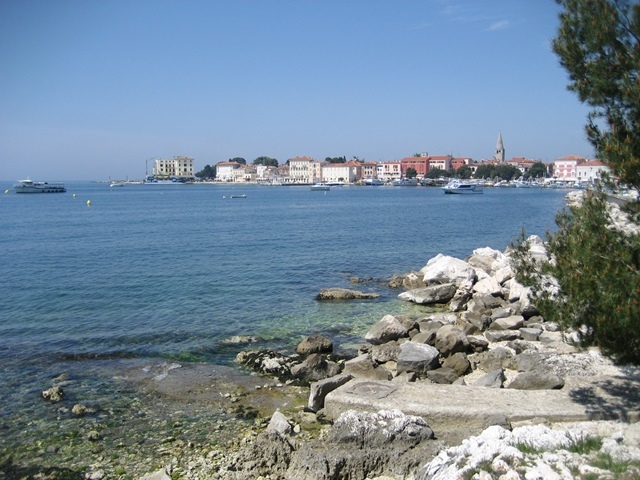 Among them are Dubrovnik, Opatija, Poreč, Rovinj and Pula. 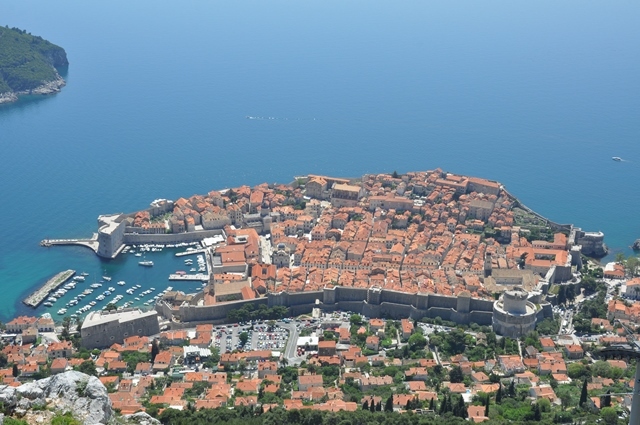 Dubrovnik is undoubtedly the most romantic, and best known tourist destination in Croatia. 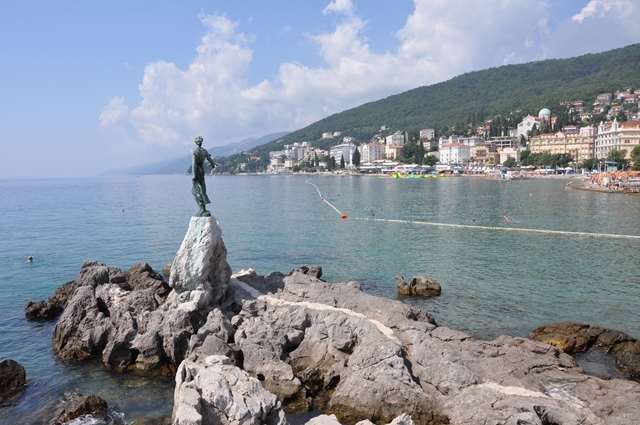 Long romantic promenades and the most beautiful parks of Croatia embellish Opatija. 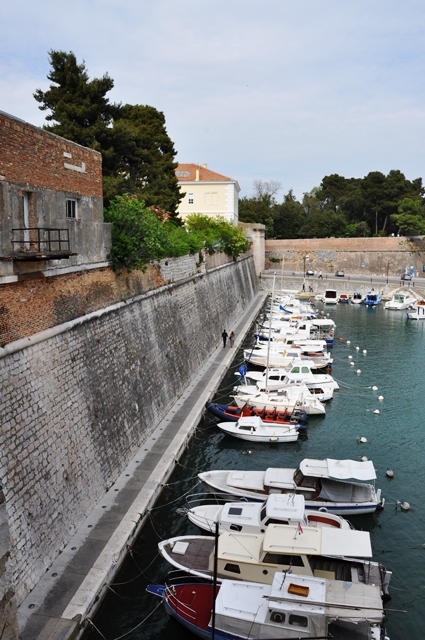 Once a small fishing village, Poreč represents one of the brightest jewels of Croatian tourism. 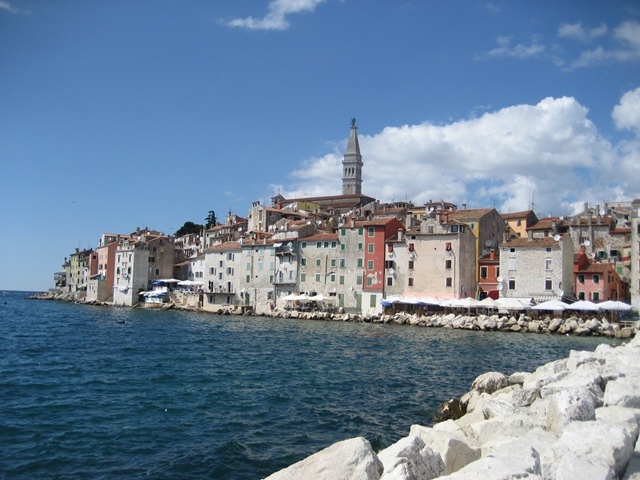 Rovinj has romantic views, for which it is known as the city of romance. 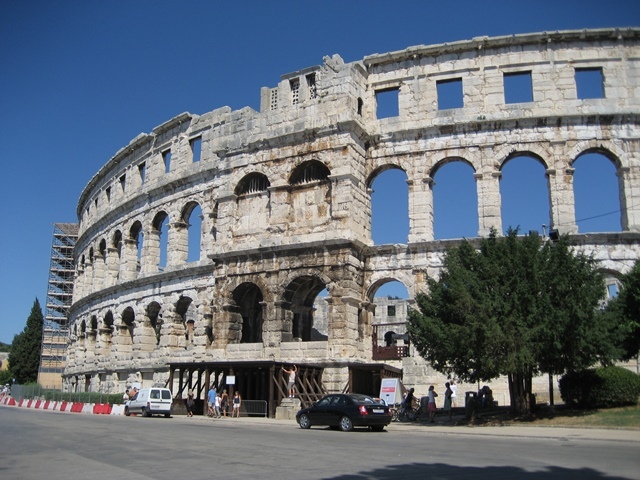 Pula, like ancient Romes, was also built on seven hills and all roads on the istrian peninsula lead to Pula. The most impressive and romantic ancient town monument is Arena. 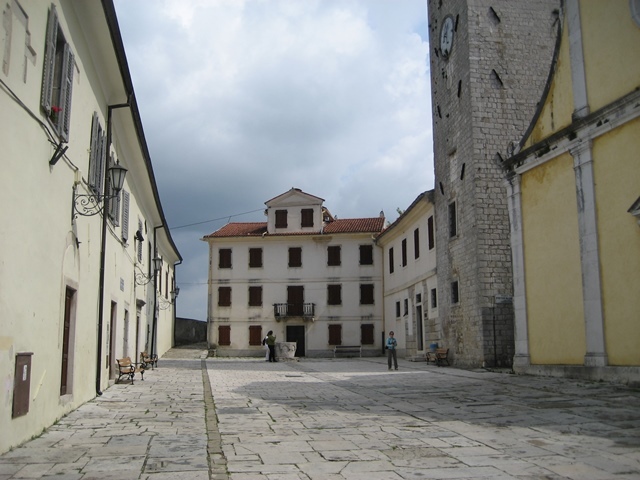 With our first glance at Motovun it will become clear that we are approaching an extraordinary medieval town. 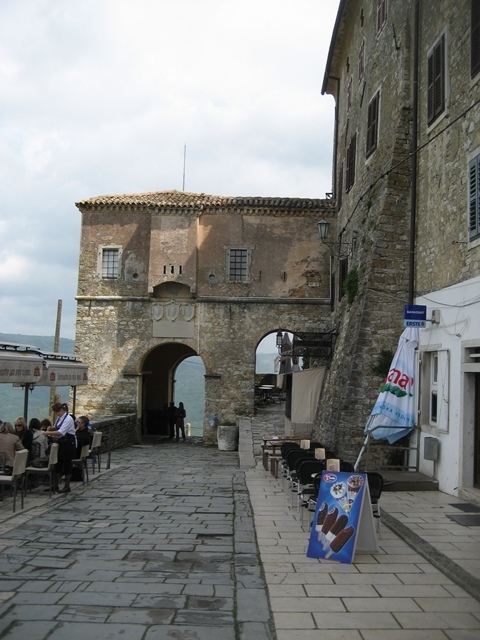 It is situated on top of a hill and it is a city dominated by the architecture of the Venetian era. 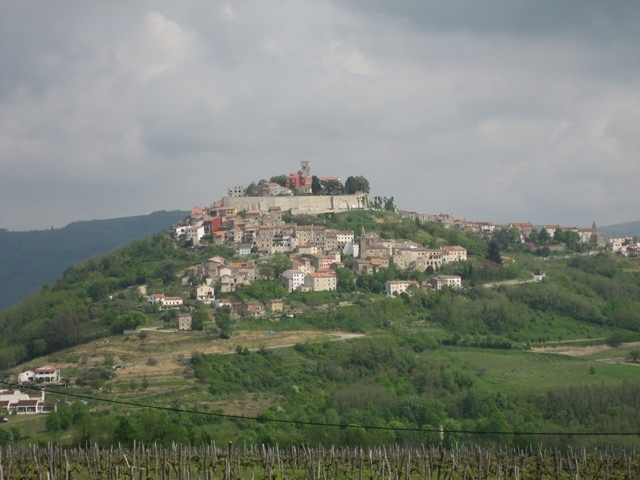 Motovun has recently become a popular tourist destination and is visited by many tourists staying on the west coast of Istria. The Motovun forest is a real treasure trove of truffles, an underground mushroom, which represent an appreciated gastronomic specialty, also considered an aphrodisiac. 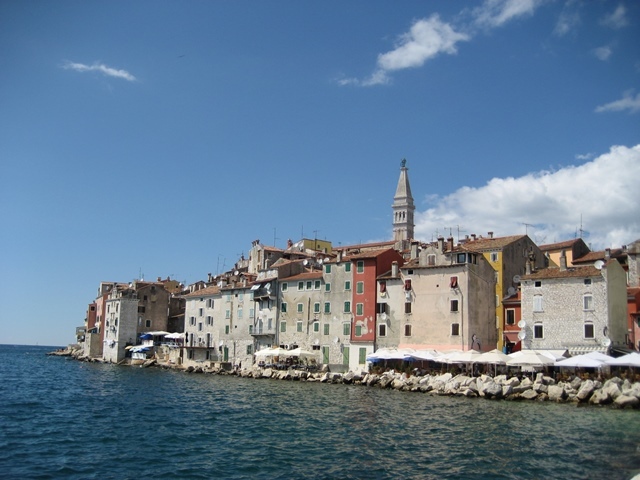 Rovinj is one of the most beautiful mediterranian towns. 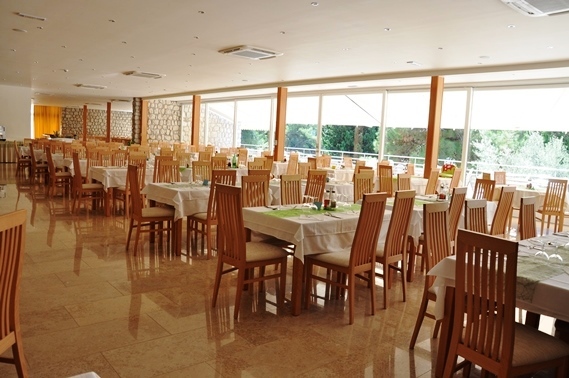 It is located on the western coast of Istria. 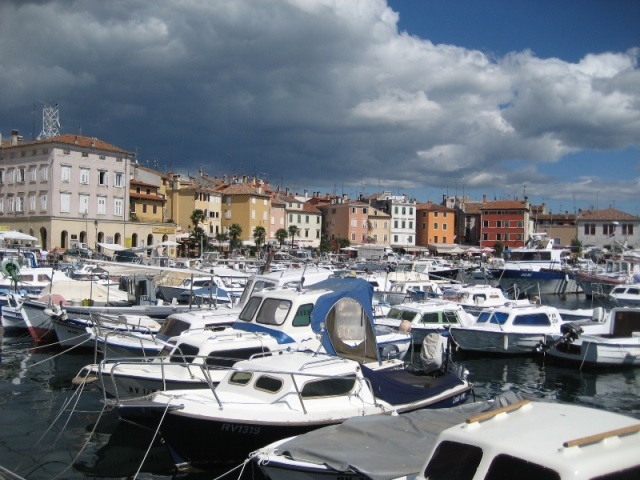 Rovinj is surrounded by gentle, wooded hills that protect it of the bora wind, so it has been the ideal enjoyment and holiday destination for over a century. Besides its romantic views, for which it is known as the city of romance, the beauty of Rovinj is reflected in the nearby archipelago of 22 islands. Among them the most beautiful and the largest are the St. Catherine and the St. Andrews islands. 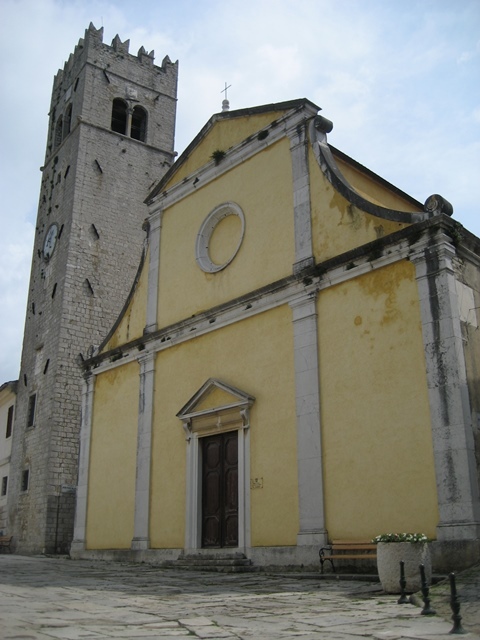 The patron saint of Rovinj is named Saint Eufemia. Mali Lošinj is the largest town on the island of Lošinj. 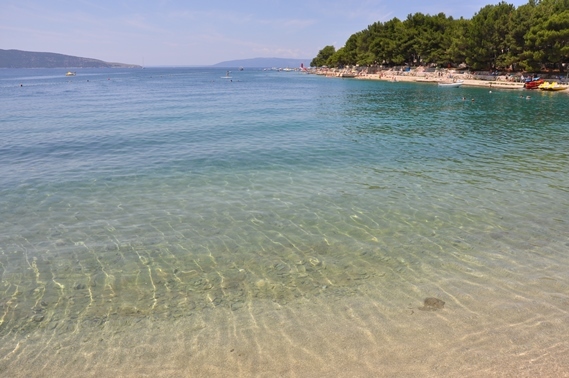 It has developed in the thirteenth century from a settlement called Malo selo in a bay under Varšak. 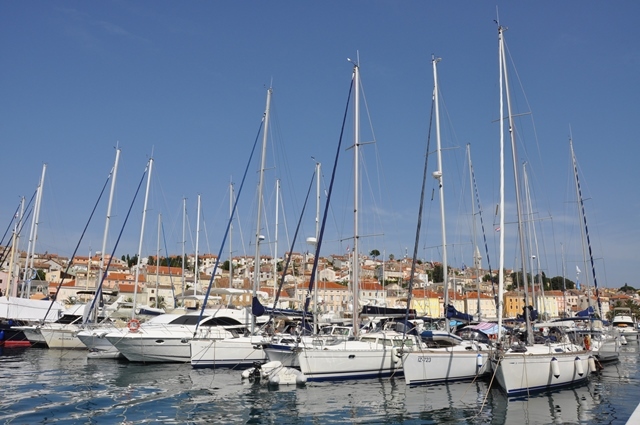 The name Lošinj was first mentioned in documents dating to 1384. 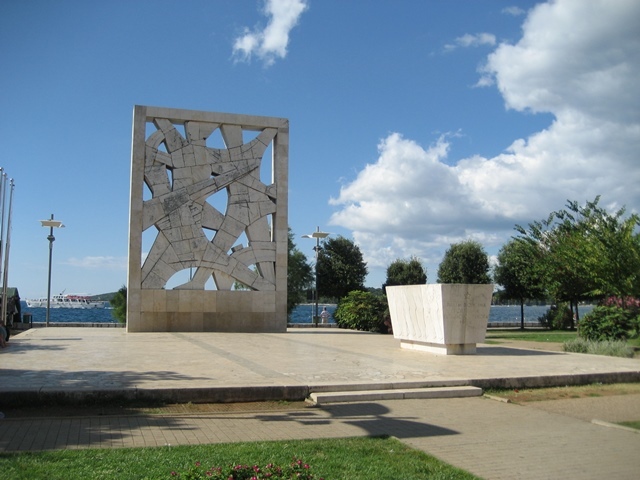 The main square is triangular in shape and the construction of its seafront has been completed in 1926. 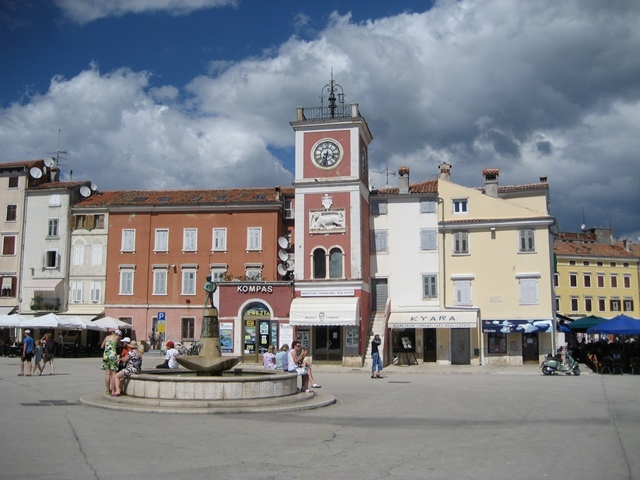 The fountain on the square depicts two dolphins that spew fresh water coming from the Vranjsko lake. 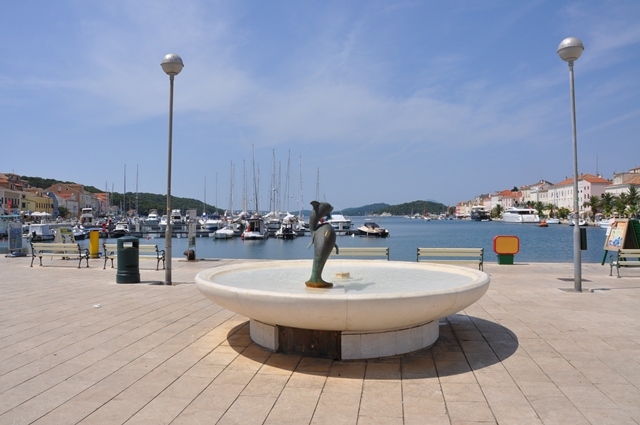 The fisherman sculpture is a symbol of Mali Lošinj competitions in underwater fishing. To the beautiful parish church of the Birth of Mary lead 245 steps. 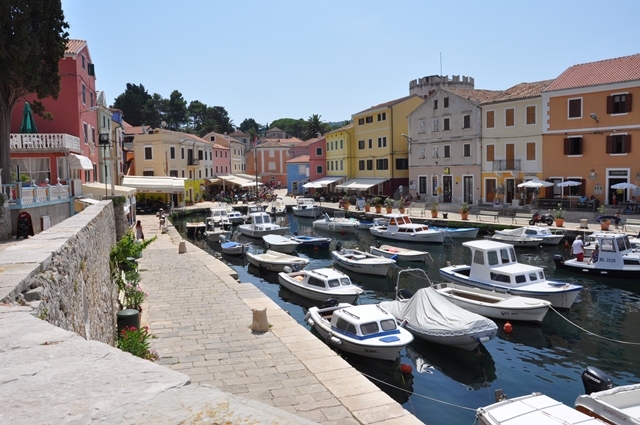 Veli Lošinj was once the largest town on the island of Lošinj. It spreads from the bay of Javorna to the bay of Jakovlje. 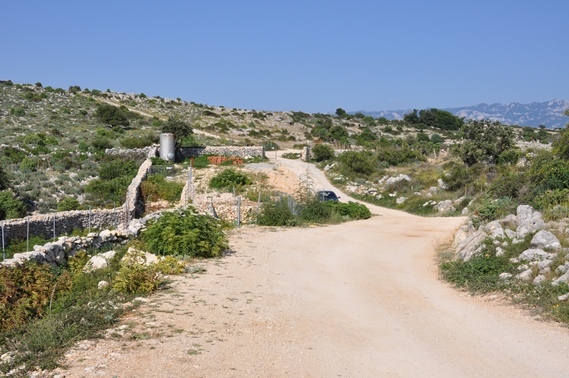 Town was once filled with vineyards, olive groves, almond trees and carob trees. 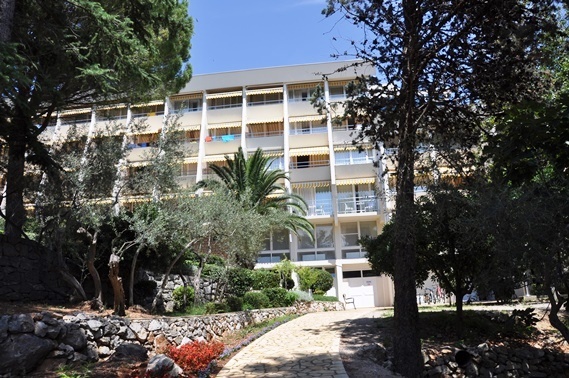 Nowadays it is surrounded by an evergreen forest of Alpine pine and the most beautiful groves of lemon, tangerine and orange trees. 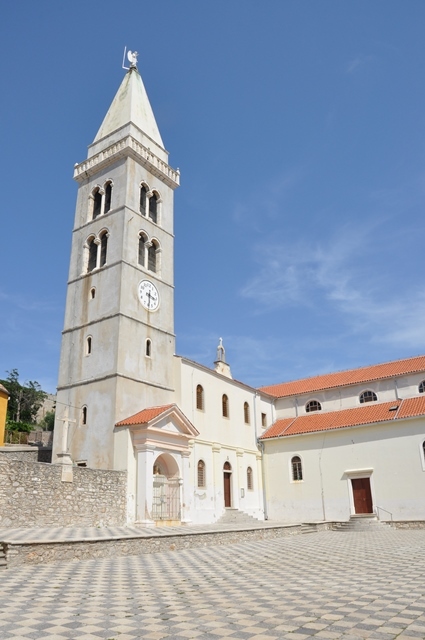 The old port of Veli Lošinj is dominated by a great steeple and the church of Saint Antun Pustinjak (Anthony the Hermin), the town’s patron saint. 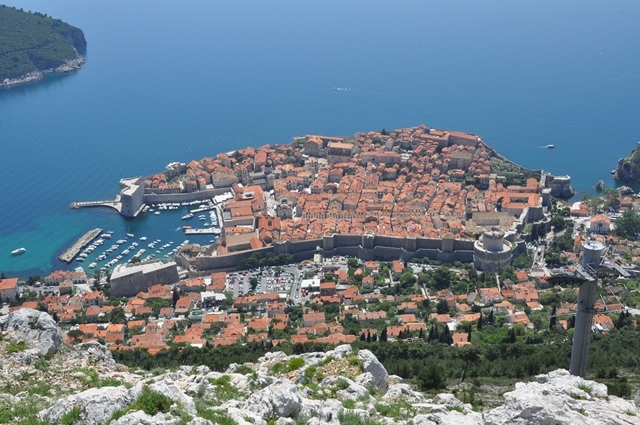 Dubrovnik is one of the most prominent tourist destinations in the Mediterranean. 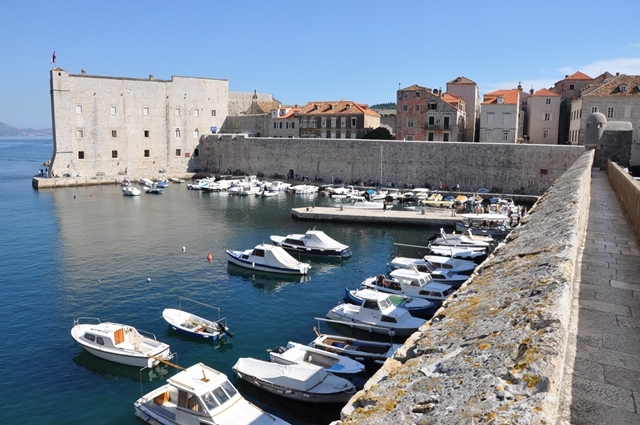 Beautiful Croatian city is among the 10 best preserved medieval walled cities in the world. The city joined the UNESCO list of World Heritage Sites in 1979. The beginning of modern tourism is associated with the construction of the Hotel Imperial in 1897. 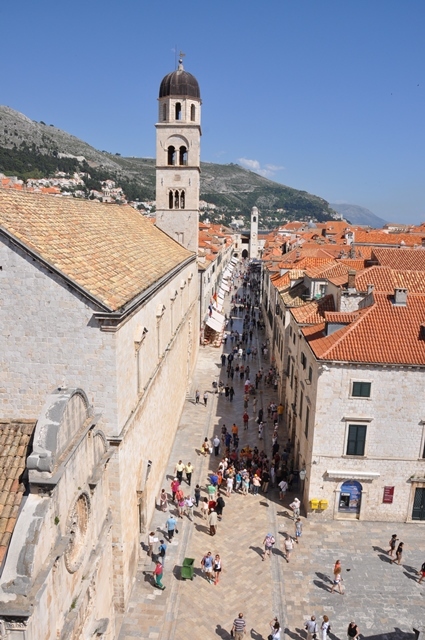 The most popular place is a promenade in Stradun and the most fantastic views of Dubrovnik are from the top of the Srd Hill. 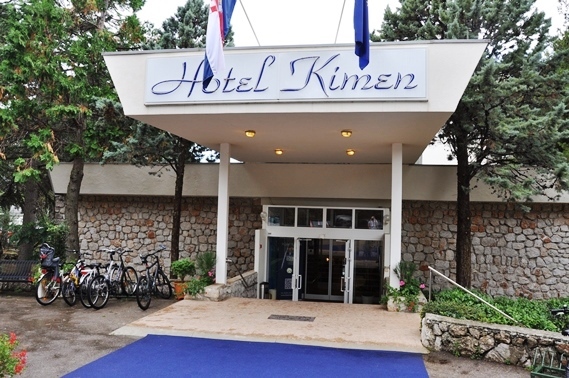 Hotel Kimen is located on the beautiful island of Cres, which is one of the northern islands in the Kvarner Gulf. 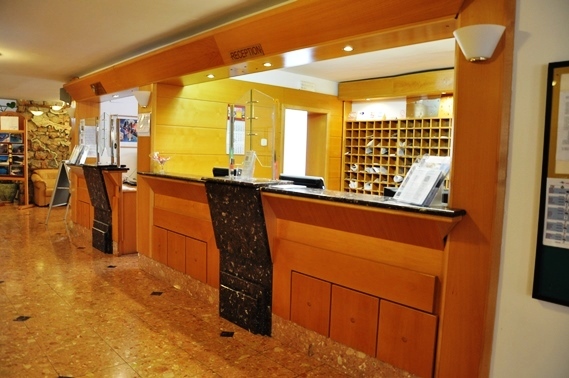 Accommodation is available in the Hotel Kimen, Apartment Mulin, Depandance and Villa Kimen. In the main house every room has a telephone, bathroom, mini bar, SAT TV, air conditioning and balcony. 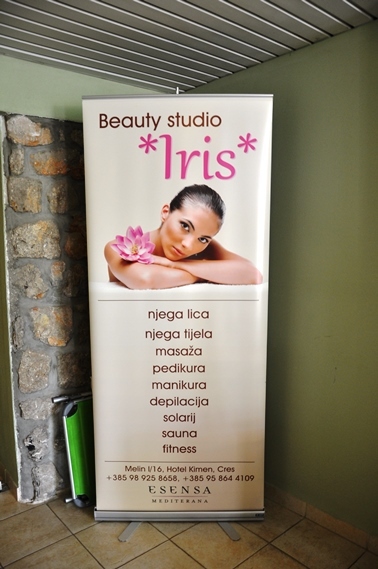 Beauty treatments and massages are offered, and there is also a hairdresser on site. Guests can enjoy the clear and clean sea, resting and lying on the hotel beach. There are also countless possibilities for active vacation such as hiking, biking, diving, golf and tennis playing and organized boat excursions. 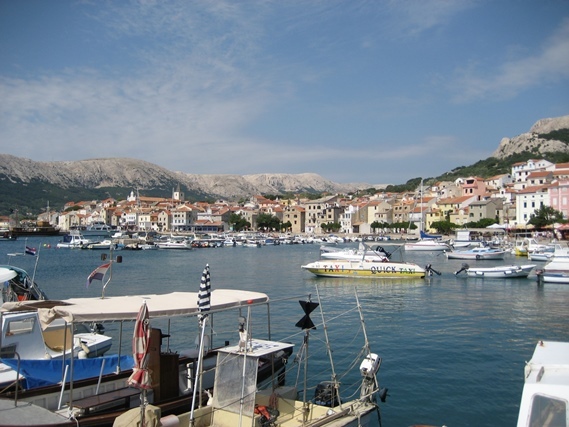 The near town of Cres offers many different events, caffe bars, restaurants, disco clubs and traditional open parties. 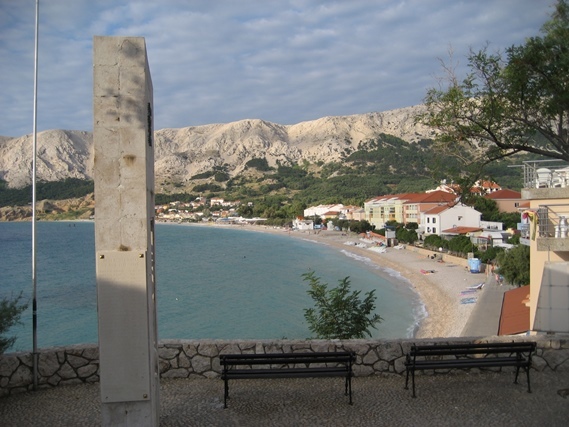 Baška is a small town situated on the south east of the island of Krk. 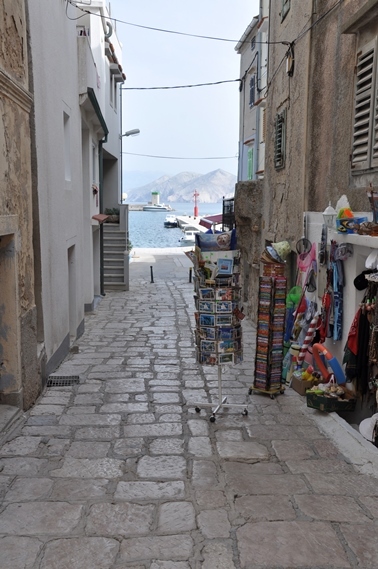 It has a typical Mediterranean appearance, with narrow streets and stone houses. 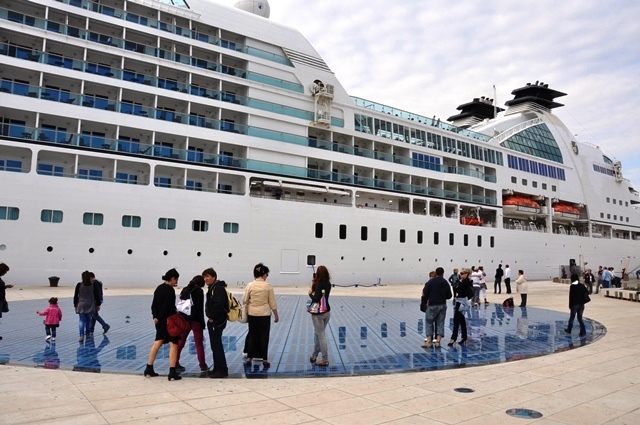 Tourism started to develop at the beginning of the 20th century. 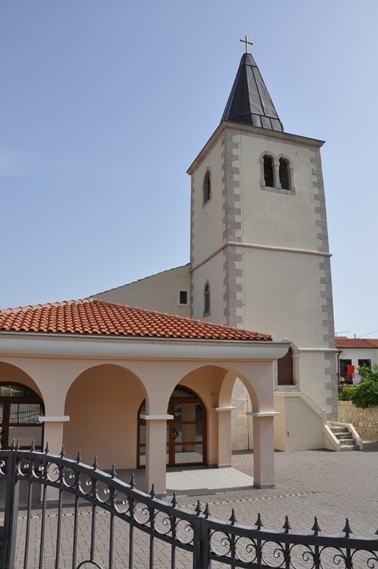 Baška has many historical sites, you can visit the parish church of the Holy Trinity, Baška heritage museum and famous Baška tablet, which is a national cultural monument. The place has numerous sand and pebble beaches, the most known is Vela beach. Sports fans can enjoy different kinds of water sport, tennis, mini golf, football, table tenis, free climbing and many other. 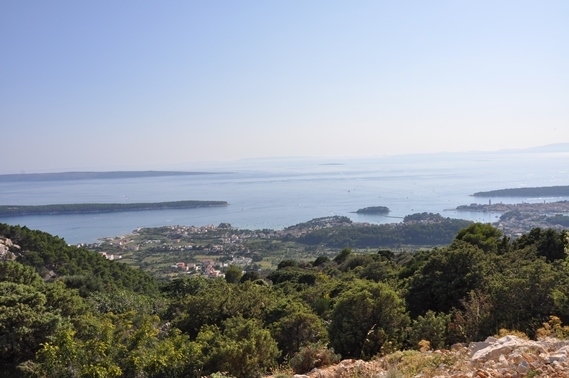 Kamenjak is the highest peak in the island of Rab. 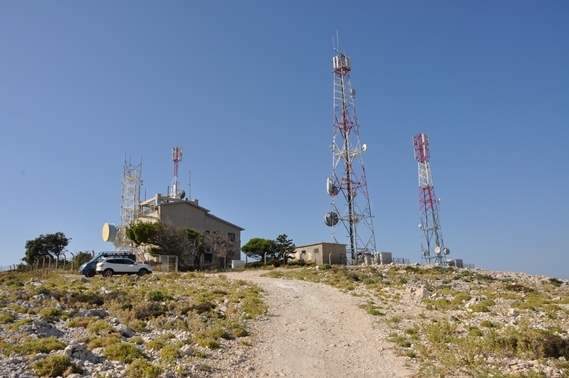 Summit offers breathtaking views to the town Rab, Lopar peninsula, Velebit, Goli Island, Dolfin and islands of Pag and Krk. 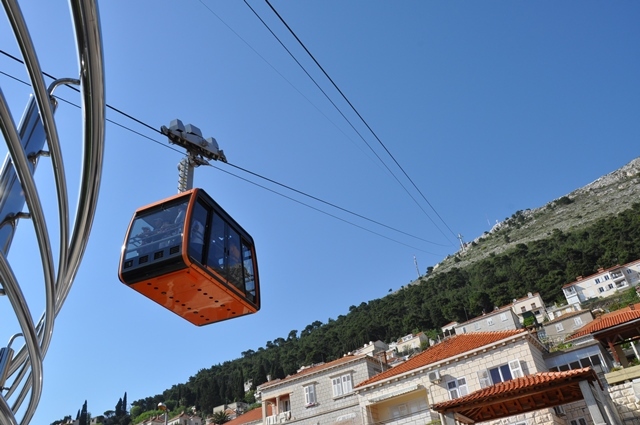 Kamenjak (408 m) is located above the village of Mundanije, not far from the town of Rab. The top can be accessed by hiking or by driving on a rather narrow road in which you have to be careful. On the plateau below the top is a local restaurant, which serves refreshments and meals. It also offers amazing views, which are especially beautiful at sunrise and sunset.